Buy ABELDent Software | Easy to buy. Easy to implement. Easy to love. - ABELSoft Inc.
Buy ABELDent Software | Easy to buy. Easy to implement. Easy to love. Join 6,000+ Canadian dentists who count on ABELDent to improve patient engagement, productivity, and profitability. One of the first things you will notice about the ABEL team is our undivided dedication to Customer Happiness. 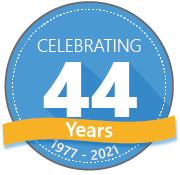 We stand behind our clinical and practice management software: we pioneered ABELDent in 1984 and have continuously improved it ever since! For starters, our stability in the market means that you can count on us to deliver reliable products and service. You can trust our expertise and experience with thousands of dental professionals across North America. Like them, you will learn that we care about meeting your evolving needs, listening to your feedback and delivering an effortless experience. Easy to buy. Easy to implement. Easy to love. ABELDent Inc. provides Clinical and Practice Management software solutions for General and Specialty practices and clinics. From the get-go, you’ll encounter flexibility and focus on your practice needs. the last dental software you will ever need!